Asma Jahangir, Pakistani human rights lawyer and social activist, passed away on 11 February 2018. 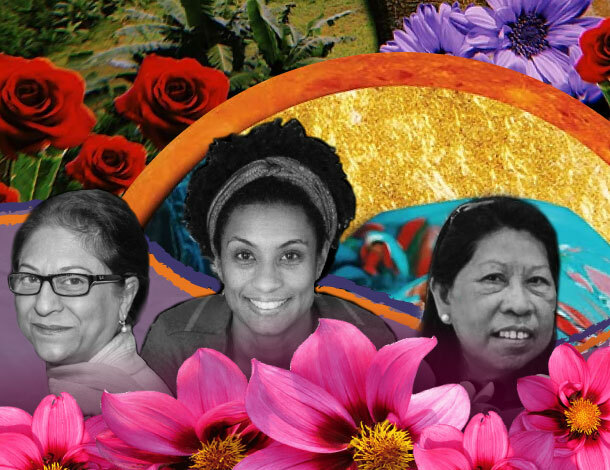 With heavy hearts, three members of AWID staff share their memories of her. In 1999, travesti activist Lohana Berkins and I went to Geneva to the UN Human Rights Council for the first time. We went to expose the violence against trans communities in our country, Argentina. It was cold. We got lost once and again in corridors that felt endless. People spoke in acronyms we could not decipher. Everything was as formal and uncomfortable as our (borrowed) clothes. And then she came, then everything changed. She laughed at our most innovative tactics, gave us new ideas and described her own fights, so similar to ours – her law practice in Lahore, a shelter for women fleeing abusive or unwanted marriages. She was one of us, an activist shining her own light in the greyness of Geneva. I was interpreting for Lohana but halfway through the meeting my words were almost redundant. She was Asma, the first Rapporteur who addressed trans murders in her reports. I met her on many other occasions throughout the years. Her bravery and laughter will never cease to inspire me. By the time I met Asma, her reputation already preceded her, the woman who opened up the first all-female law firm, the first woman to become president of the Supreme Court Bar Association of Pakistan, the woman who represented those who had been condemned for simply being women, or minorities or poor. And yet in her fierceness there was a generosity, a groundedness.